This entry was posted in Uncategorized and tagged baking, cooking, dessert, food, Maple, Nut, Pecan, Pie, Syrup, Tart by christao408. Bookmark the permalink. They look perfect and delicious. Drools. Yes, yes love them and they are one thing I do make – and rather well if i say so myself. We use the same formula. I love tarts! Thanks for the idea and recipe! Oh I love pecans and nuts in general. This actually might be simple enough for me to make. Do you have to toast the nuts first? 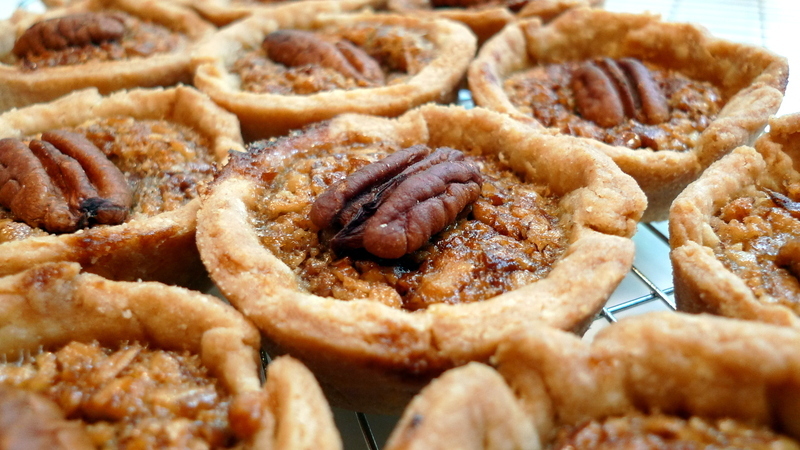 @rudyhou – Most pecan pies I’ve had over the years are way, way too sweet. I enjoy sweets but really like to balance the sweet and salty. Maybe I should sprinkle a little sea salt into it and try for the “caramel sea salt” flavor. @christao408 – sea salt? thumbs up for that. now THAT i would love to try as i love the taste of a sweet salty dessert.